64km long loop is half flat and half in the mountains. The peak Coll de sa Batalla has 576 meters above the sea level. The climb is long nearly 8km. There is famous cloister called Santuari de Lluc only 2km far from this point. 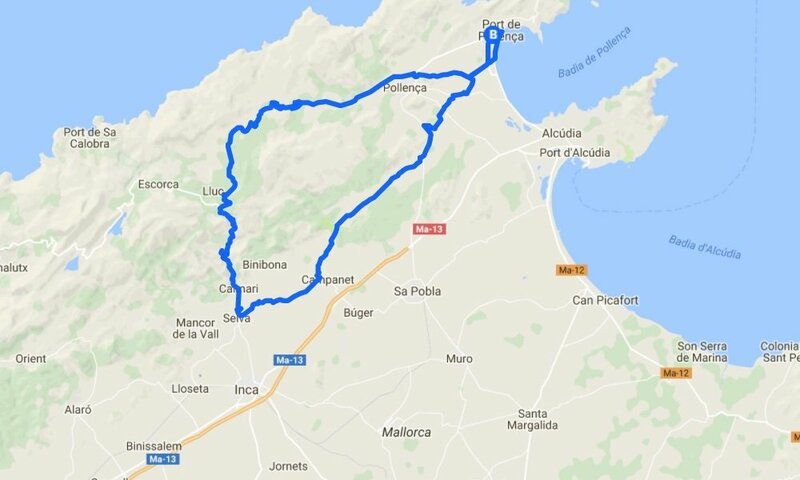 Last peak called Coll de Femenia is in the second half of the route and then is just downhill along the fast way to Port de Pollenca.